Hard to believe it's already 6 months into my new 101 in 1001 list! I kicked it off on April 1 so I thought that six months in would be a good time to update where I am. Starting off the list I've been able to fully cross off six things already! While it's not as much as I would have hoped right away I'm feeling good since most of them are ones that are more than just a one time event. Here are the six I've crossed off so far. While the number I've totally completed hasn't quite hit double digits yet I'm very proud of how many of my list items I am actively working on! I have 40 items that I have in active progress. Not just started but I'm actively working to cross them off. While in some categories I've only got one or two in progress in most I have at least four being worked on! 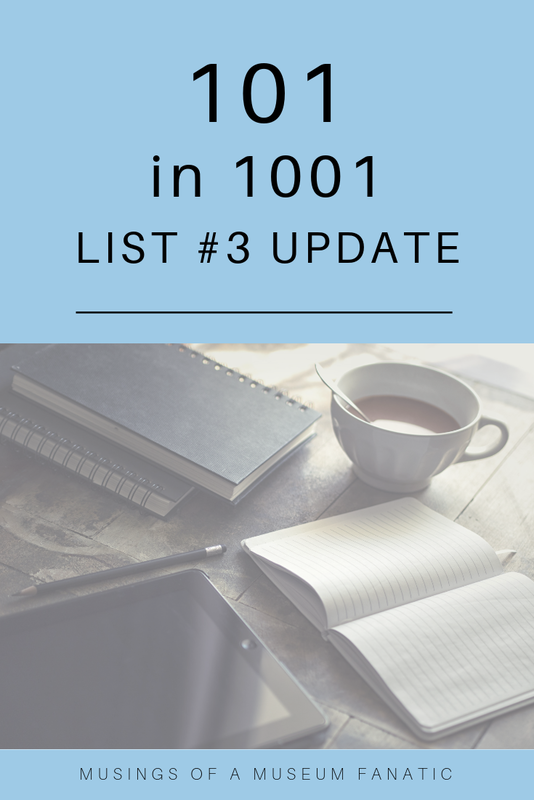 It's an amazing feeling to look at my 101 list on Day Zero Project and see all the progress I'm making. This time I'm working hard to add notes and keep track of progress better. Since I have 40 of them in progress right now and that would be a little silly to share all of them here I'll share the ones I'm most further along in my progress. 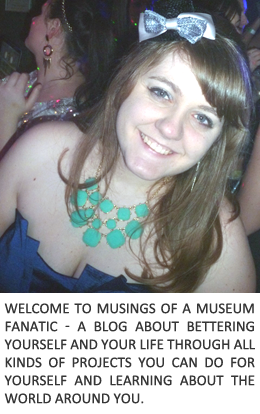 I've pulled together a couple of the more regular types of hashtags I use like Museums and Food. It's come in handy so much since then. Still have yet to go back and work on more but I've got a good start! I had planned on crossing this one off this summer but it takes a lot more time to actually go and enjoy things haha. I'm at 4 of 10 so I think I should be able to cross this one off next summer. Was there any doubt that I would just power through this 101 list task? Nope! I'm at 6 out of 10. If I keep visiting at the rate I'm going I should have this off the list by the end of the year or early next year. I've gotten to most of the easy ones so getting to new ones takes more time now. 15 of 50 recipes made! It's been a lot of fun trying out new recipes, I mean Kevin is loving it let's be honest haha. Loving the fact that I get to write off the groceries for these too since I'm trying out recipes for my business. I got this one going hot out of the gate in April! It's a great feeling knowing I'm keeping my emails pretty low. I do know that there is some more deleting and cleaning I can do for one of my emails but overall they're all staying below the 500 mark. So I created the website and it's a basic one. I need to go back and work on fixing it and adding more images. I've been debating about doing some side hustles relating to archives, exhibits or maybe even genealogy. I still haven't figured it out yet but when I do I'll already have my website ready. So rocking out the nails all the time! You can see all the new pretty colors through my instastories I try to make sure I share them there. I've received a lot of compliments about them since I've started painting them regularly, it's nice! Kevin and I started the list. He has like two places that are on his bucket list while mine is quite long. I want to go back and make sure every place is on there. Then the plan is to do a top three of the moment. These are all the tasks that I'm at least halfway through and feeling really good about at the moment. It can be tough to work on a huge list like this. You really need to focus and get smaller goals accomplished as part of the bigger goals. If you need help conquering yours check out this post. Who has been working hard on their goals lately too?